HUGE DETROIT RED WINGS IRON-ON PATCH - 4" x 11"
HUGE DETROIT RED WINGS IRON-ON PATCH - 3" x 11"
mudhensteve08 has no other items for sale. 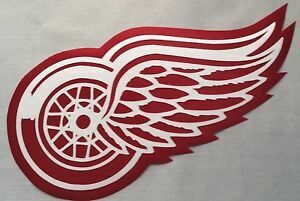 Details about HUGE DETROIT RED WINGS IRON-ON PATCH - 5" x 10.5"
HUGE DETROIT RED WINGS IRON-ON PATCH - 5" x 10.5"
PayPal payment within 24 hours please. Fantastic ! Very happy. Thank you. VERY HIGHLY RECOMMEND EBAY SELLER! GREAT PRICES & FAST SHIPPING! Just as described. A gift. They are going to love it. Patch looks perfect 👌🏾 . Item arrived exactly as described. Fast shipping too. Thanks!